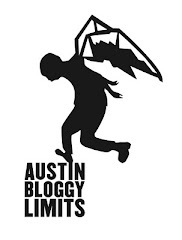 AustinBloggyLimits - An Austin Music Blog: Planning Ahead: Get Your Tickets NOW! I've been getting a lot of positive feedback from real life, face-to-face humans about my posts in which I put loads of ticket links to shows in the near and distant future. So, I'm going to try to do it every month or so. I'm not going back to the posts I did previously, so there may be repetition but I figure that's an advantage. Also, I'm not giving loads of details just who and where, the when you can figure out when you click the link. Most of these will be below the break but the format is pretty simple, click the who to go to the ticket link for that show. The where will send you to the venue's website. My resources for this list are the following websites: Transmission Entertainment, Emo's ticketing, C3 Presents ticketing, Ticketfly and POSSIBLY Frank Erwin Center. There are also shows at the Cedar Park Events Center but Ticketmaster can lick my balls I will NOT promote their shows. So, let's start with FunFunFun Fest, the line-up was revealed this week and tickets will sell-out fast! Speaking of sold-out festivals, you can still get 1-day passes for the Sunday of ACL Festival too!